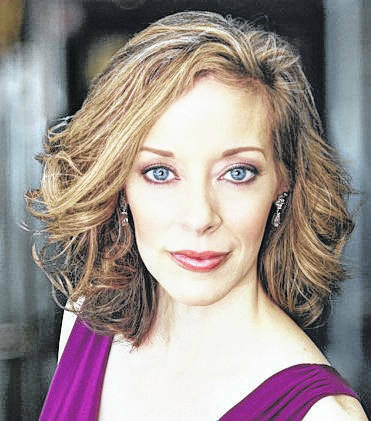 Popular Central Ohio soprano Laura Portune will return to the stage with the Central Ohio Symphony at its upcoming concert at 3 p.m. on Sunday, March 11 in Gray Chapel on the Ohio Wesleyan University campus in Delaware. Middlefield Bank is the concert sponsor. Conductor Jaime Morales-Matos will direct the orchestra and Portune in a program featuring opera works in the first half. Following a performance of the overture from Mozart’s opera “Cosi fan tutte,” the ensemble will accompany Portune singing arias by Charles Gounod, Franz Lehár and Giuseppe Verdi. The orchestra in the second part of the program will play for its first time Symphony No. 4 by Austrian composer Gustav Mahler. This work contains the song “Das himmlische leben” (“The heavenly life”), which Portune will sing in the fourth movement. Symphony Executive Director Warren W. Hyer is excited about the upcoming concert. Hyer noted that the Mahler 4 is the composer’s most performed work, and the soprano solo in the fourth movement was “very uncharacteristic” within a symphony. “This concert is a must hear event,” Hyer said. Tickets for this concert only may be purchased at the Symphony Source office, 24 E. Winter Street in downtown Delaware or online at www.centralohiosymphony.org, or at the box office the night of the concert. Ticket prices are $25 for adults, $20 for seniors, $6 for students of all ages and $4 for children. Season 39 sponsors are the Ohio Arts Council and the City of Delaware. Ohio Wesleyan University also provides concert support. Gray Chapel is handicapped accessible and the Symphony provides shuttle service from the main parking lot on Henry Street to Gray Chapel. More information about accessibility, the concert, and ticket availability is available on the Symphony website, www.centralohiosymphony.org, at the Symphony office at 24 E. Winter Street, or by calling the Symphony at 740-362-1799.